I recently made a trip down to Disney World, which is always a good time; it is the happiest place on earth after all. Well that happy place has, over the past few years, gotten just a little happier for us craft beer drinkers. Disney has started allowing beer, and specifically craft beer, into its restaurants, bars and stores. The last time I went to Disney the location and availability of these beers was spotty as only Epcot, with its tour of beers, was predictable in any sense. This is no longer the case as the Beers and Ears app. The Beers and Ears app is pretty straightforward. 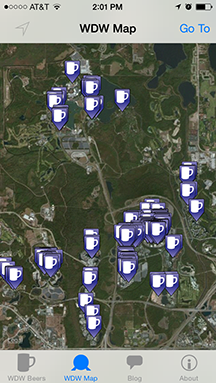 It’s an app that maps out the availability and location of all the beers in the Disney World resort area, with the addition of a checklist, and is connected to a news source for beer related events at Disney. Beers and Ears has two means of finding beer. The first is a map that shows all of the Disney resorts and parks. The map shows your location so you can find the nearest beer serving location very easily or you can navigate around to find any location on site. You can zoom in on the map to find an exact location and once found a simple click on the location gives you basic information such as the resort/park name and the name of the restaurant. There is also a link to a list of beers at that location. This list of beers is also available separate from the map under a tab labeled WDW Beers, so finding your favorite drink is as easy as scrolling down the list. Clicking on a beer yields a list of locations where that particular beer is available. There is also a reverse aspect of this, you can start with the location and find a beer list from there. The beer list also has a nifty checklist element so you can create your own Disney beer tour. 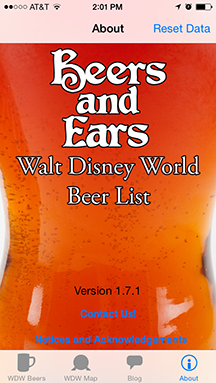 There is also a tab that links you to the Beers and Ears blog, a news blog about beer events at Disney. It was pretty limited and focused around the Epcot Food and Wine Festival but it was worth scrolling through and if you are a Disney regular might give you some tips on what is coming up at Disney. I only saw one problem with this app. The lists were not immediately updated so there were beers at my location not listed and some that were not there anymore. Most of us know that kegs kick all the time so this is an understandable limitation. It also seemed that the when searching under location the beer list was everything that had ever been served at that location not just what was currently being served. From what I’ve read most Disney run restaurants and locations pretty much all serve from the same beer list so there should not be much change. 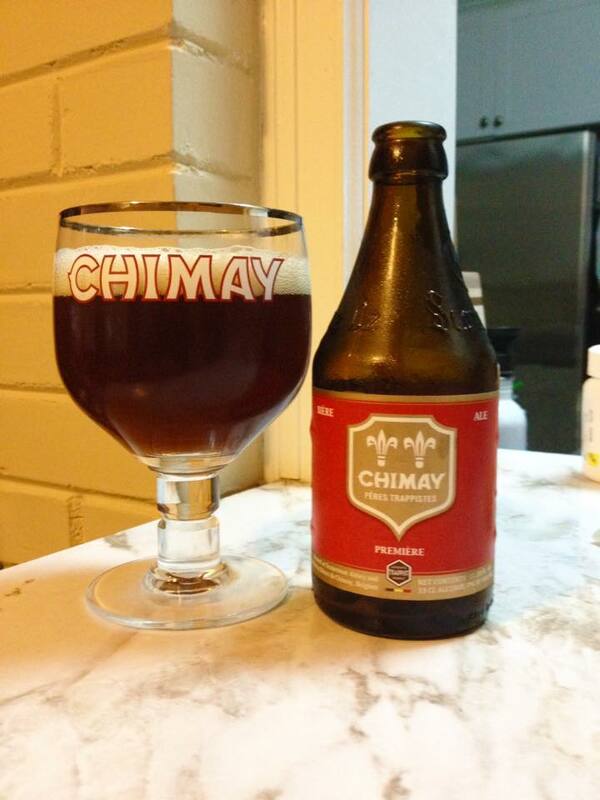 That is all to say, just be ready for some flexibility, particularly if you are off to search out a particular beer. Remember you’re at Disney World and enjoy the ride. 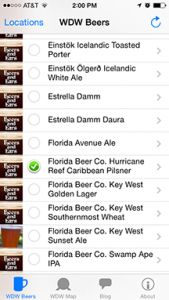 Beers and Ears is a pretty bare bones app but it does what you need it to do. If you’re at Disney World and your looking for beer the Beers and Ears will get you where you need to be.